thank you to each and everyone of u for ur unconditional love and support. Everyday is a special day but tomorrow is extra special because of all of you. 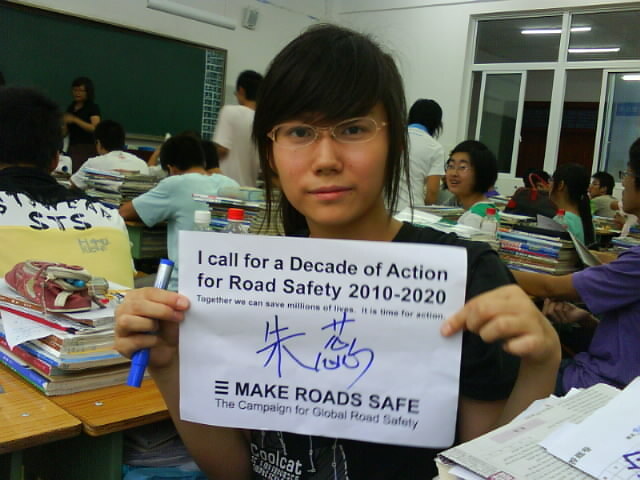 your wishes and most of all your joining together to support our call for A Decade of Action for Road safety is a precious gift. i send each of you a smile and a kiss. Singapore, South Korea, Spain, Sweden, Taiwan, Thailand, UAE, UK, USA, Venezuela, Vietnam, etc. Hope you are showered with love and blessings, and hope our greetings bring more happiness to your special day. Happy Birthday and Best Wishes to you. From the two (soon to be three) of us, we hope that you have an awesome birthday. You have given so much to the rest of us, to all your fans, that we will always struggle to repay. Your body of work is one, great and large thing, but the respect, the love, the kindness are what keeps us coming to give you our birthday wishes. The only set of requests that we have is that you take great care of yourself, work hard as you always have but don't overdo it, and have an awesome year! Your birthday is coming now ! ! It is not just worship ! ! I wish you a wonderful and happy birthday. May all your dreams come true, take care of you. Best wishes from hot and rainy Poland! Dear Michelle, I wish you a wonderful day. You deserve that and much more. Happy birthday for a great actress and a sensational person, our malaysian Queen, Michelle Yeoh. Feliz cumpleaños, querida amiga! (Happy birthday, dear friend!) Kisses from all your spanish fans! Hi Michelle, I'm a great fans of yours and I knew that you're a busy person but always remember to take good care of your health and keep smiling because this will help you to be a happy person. Of course, HAPPY SWEET BIRTHDAY MICHELLE! I'm crystal,（michelle's baidu bar——zixingjia),the Chinese fans did the E-zine for you last year, did you see it? Oh, hope you will like to take this, and we hope that you can always return, the Chinese fans miss you at all times, the Chinese FANS like to see you often ah! Over the past few years, every time I left message on JANE's site and hope you can come to Chengdu, Sichuan, I hope you can look at the giant pandas in the Silver Hawk, I hope you can eat hot pot, I hope your new film released here. Sichuan is still beautiful after the earthquake ! Always like to watch your smile, which makes us feel very warm! Finally, I wish you good health and happiness, happy birthday! Of course, hope that we can help more people! I hope you have a wonderful birthday. I have always looked up to you, and have always wanted to become an action actress like you, but I'm to young. But maybe one day I will be able to see you and work with you as well. But anyways wishing you a Happy Birthday. 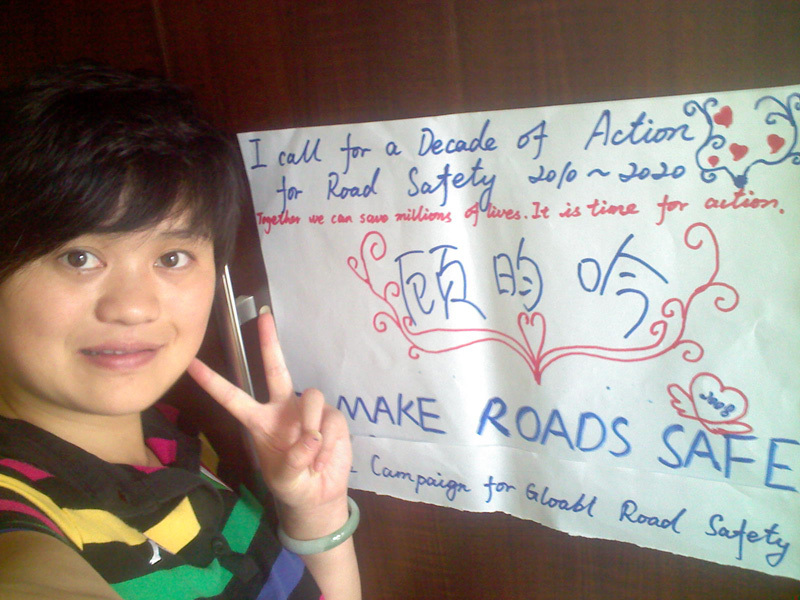 I'm so happy to hear that you are so supportive of Make Roads Safe. It is such a great cause and it deserves attention. I'll try my best to support it as well. The sweetest voice can't spesk your beauty out.The nicest words can't describe your ablity. You always contribute yourself to the charity. I just want to say,no matterwhat it happens,I'llsupport you forever.Happy Birthday to you! again your special day have come, my wish for you is safety as always, good health, peace of mind, and lots of love :-). i also wish you good luck in all yur upcoming movies. also hope to see you one day, please visit our country even for once. also good luck on your make road safe campaign. Happy Birthday and many congratulations on your present and future happiness. May God bless you with health, prosperity, wisdom with understanding, and love of family and friends. May you have continued success in your work and in your charities. I am a very big fan, love your movies, appreciate all you do worldwide in support of many good causes. Please keep doing more movies!! Hello Michelle. Another special day for u have come.I am great fan of yours.I love your movies and I love the kindness of yours to help the kids around the world.I am from Ipoh like u.If really can,i wish i can communicate with u through email.By the way I want to wish u Happy Birthday and may your wishes come true. You are and always will be my hero. Have the Happiest Birthday Ever! Dear MICHELLE !!!!! VERY HAPPY BIRTHDAY !!!!! ON THIS DAY THAT IS SO SPECIAL MEET ALL YOUR WISHES !!!!! MANY hugs and kisses! And I want you to know FROM ARGENTINA TO CELEBRATE WITH YOU ... this special day! Thank you for being such an inspiring person and for letting me know the importance of appreciation. Your confidence and charm inspire me everyday and I want to tell you that you are always very much loved, appreciated and missed by me! Happy Birthday to a special person. 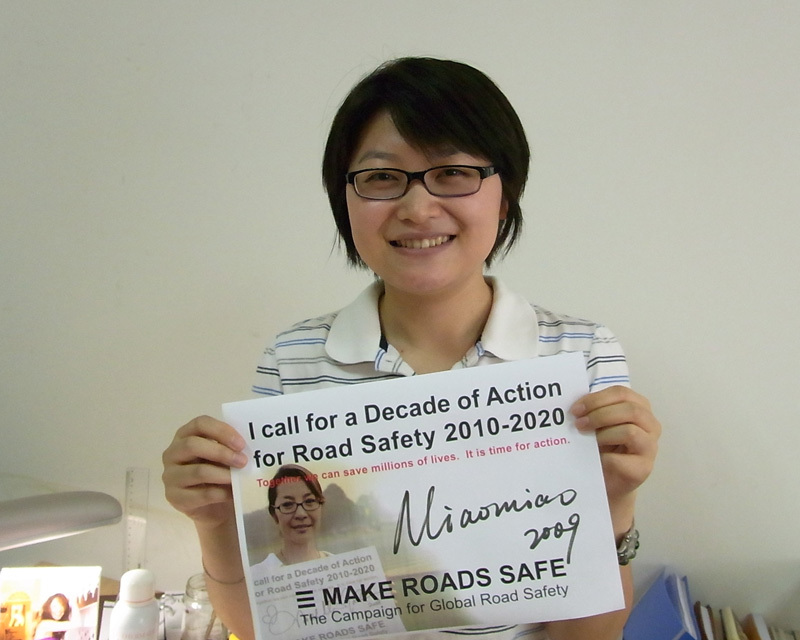 Thank you for your commitment to safe roads and best of luck in your personal and humanitarian goals. Happiest birthday congratulations (and many more). You are an inspiration to women everywhere. HAPPY BIRTHDAY TO THE PRETTIEST AND BEST ACTRESS IN THE WHOLE WIDE WORLD! AND A SPECIAL WISH FOR MANY, MANY, MORE TO COME! HAPPY BIRTHDAY MICHELLE! THANKS FOR ALL THE GREAT ENTERTAINING MOVIES! MAY GOD BLESS YOU! from jim galbraith, springfield, mo., u.s.a.
firstly like to wishes you a very happppppppy birthday, secondly hopefully you can celebrate birthday with your love one(parent,boyfren,or everybody). Happy Birthday Ms Yeoh !!! Wish you the best!!! My best wishes to you on your birthday. May you grace your presence with your style and beauty on the screens soon. happy birthday and many many many more. I will forever love you! Another year had passed and we are celebrating your birthday again.I would like to wish you Happy Birthday!All the best to you and may you keep up the good job.Looking forward to your new movie again.Take care. I wish to you all the best, healf, knowledge, strong, success..many kisses kisses kisses..love you always and thank you for the best movies ever!!!!!!!!!! Happy Birthday to you. May all your wish come true. P,Michelle Y. nunca ti em pessoa.mas sempre ti amei.Adoro seus todos seus filmes.mas aqui no Brasil nao tem todos.muitas felicidades e energia e proteçao dos anjos para voçe.venha logo para S.Paulo.Ti adoro muito mada. Another year gone, and as usual, you've done wonders for the world. You never fail to amaze me with your selflessness, and for that I absolutely thank you. I hope your year has gone well, and the next one goes even better. You are my hero! Happy birthday! Michelle you are such an inspiration not only to myself but to all women around the beautiful world we live. Thank you for letting us into your world of films. Here's wishing you a Very Special Happy Birthday. You are the very best and finest of action stars to ever grace the silver screen. I fell in love with you and your work, back in 1995. I have a box full of DVDs of your earlier and later films, but it's the "Can you call me mommy now?" line from Wing Chun that I still quote to my friends. "Who's your momma?" Michelle Yeoh, if they have even half a brain. Though your kickass work in Tai Chi Master is always mentioned, Michelle with a flail, you gotta see this! Busting heads and taking names, woof! I leave off mentioning Yes, Madam! until they can get used to you (that's the film that has me imagining you playing Dirty Harry when you're in your 40's). Your work in drama, Crouching Tiger, Hidden Dragon, was off the scale, and I have seen Far North, that was more than I expected of you for being the Bad Girl, but you pulled it off tremendously. Er, played it off I mean. And Mummy 3 was freaking awesome. I want to thank you sincerely from the bottom of my heart for all the great work you have done, in film, as well as in charity. You make me feel very proud to be a Michelle Yeoh fan. Best wishes to you and all that you love on this special day. Happy Birthday Michelle! I'm one of your biggest fans.I really really enjoy your films that you act.Especially your action films.It's totally rock!!! On the ocasion of your B-Day,I wish you always happy,healthy,more beautiful and have more good films in the future. Hi Michelle, I'm a huge fan of yours and just want to wish you A WONDERFUL, GREAT, FUNFILLED AND HAPPY BIRTHDAY!! All the best, cheers! Sorry if our english is too bad. We are admirers of you since a few months ago, since we bought memoirs of a geisha dvd. We got lots of movies from you, and now we are really fans!!! Thanks for everything you give us from far places, only with your job in your movies and your carity actions. Our best wishes for you and all people you love. Our sincere respect, love and support from Mexico. Greets and Kisses!!!! You are the best!!! Thank you for all that you've given back to the world. You continue to display beauty, class and elegance like no one else. And you just seem to get more beautiful as the years pass. Many thanks for all your years of wonderful work both in film and in charity! Happy Birthday and Long Life! Hello Michelle, once again Happy birthday to you love. Hi Dato, happy birthday. I want to invite you to visit our most high-end bungalow development in KL, Damansara -- Country Heights Damansara. Please view the webpage below. And can call me in +6019-6001543 anytime to arrange the visit. it be better if you had dinner with me here in HNL. From Buenos Aires,best wishes for you, Michelle. Will I ever get the chance to dance "Tango " with you ? A big kiss. All the best and Happy Birthday! May you be happy in your coming birthday and in all the next. You can held your birthday party freely. That's so good, but our mother,Aung San Suu Kyi. You are so like with her. I wish you to do for the public and the world. May you be healthy and happy in all the time. Dear Michellee. Just to know how much I appreciate you as both an actress and and a beautiful, strong woman. Dear Michelle, you are a very talented and blessed actress who has built her fame among the universe. I would like to take this opportunity to wish you a very very happy birthday. Thanks to your mom and dad who brought you to this world. I can't imagine the moment you came to this world, what do your parents had in mind. Do they know that, few years later, this little baby can actually stand up againts mummies or flying on the rooftop chasing a break-in? hahaha, appreciation what life brings to you, and it will reward you back. Michelle, all the best. Happy Birthday. Happy Birthday....and may all your wishes come true on this very special day! Happy Birthday Michelle! Hope you are well in health and happiness! Best wishes from Hamilton, Ontario, Canada! Michelle my dear i want to say i hope you have a wonderful day on your birthday, take care and all the best, may god give you a blessing for a nice day, always thinking of you. from David T James, Lincoln, England. A very Happy Birthday you. This is my second time that I greet you on birthday since much of the busiest day that I have not seem you for quite long, since you are appeared in F1 Race(Singapore) last year. I wish you have a blessed birthday and a fulfilment blast moments for you. I'm a F.3 girl, promoting to F.4. My name is Luis Ho. I've been your fanz for several years already, since I watched the movie 'Silver Hawk'. You are so beautiful, fantastic! Guess what?! Last year, the theme was 'a famous person' in our F.2 end of term English examination, you were chosen to be the focal. The whole comprehension passage, tenses, proof-reading were related to you...even the composition! I still remember the topic was 'if you could spend a day with Michelle, what would you do? '....I said I would like to visit your house. Happy Birthday Michelle! Hope you have a great day and get all you wanted. May God add blessings on you as you add onother year.Continue entertaining us your fans with your super movies. 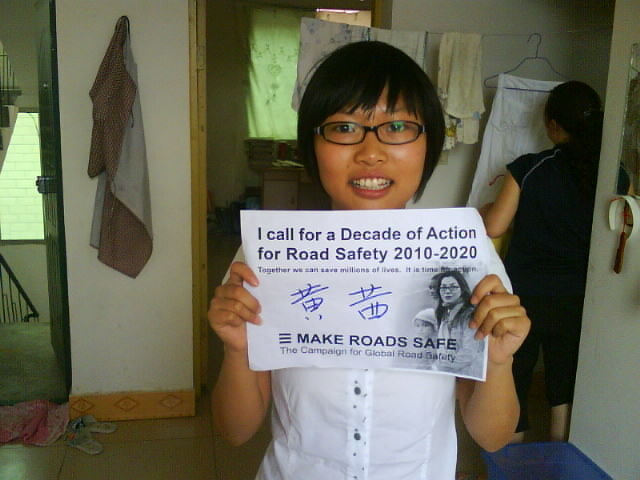 I appreciate your effort for safety on roads all around the world. As man I also appreciate your beauty. I am a great admirer! Every time I see you my heart is so glad! I wish I could meet you and talk with you” I know this will never happen but I have dream this. I would love to share my word painting with you, I hope you like it”! Again Happy Birthday Michelle! OH and Memoirs of a Geisha was my favorite! Happy Birthday Michelle. I hope that you have a great time on your special day. You are my favorite actor and I wish that we could see you in more movies and roles. Keep up the good work and best of everything to you. Congratulations to a most beautiful lady !! Happy Birthday Michelle Yeoh! As an African from Cameroon you have inspired many Africans and especially African women to practices martial arts and become actress. Dreams are possible even in Africa where things are hard and tough. I wish oneday to interview you for Shiai Magazine. well, best wish for you! I love you very much!! 8.6 is your birthday!Happy Birthday! I love you for 8 years,I think that your happy is my happy! Your believe is my believe!I hope you happy everyday forever! I give you my all benediction,supportion,and my all love. Finally,I will support your film,your public welfare and whatever you what to do! HI MIchelle. Happy Birthday !! I hope life is giving you all you desire and this proves a good year for you..I enjoy all the films I have seen you in so far!! In wishful time, I Mehdi Kabul, would have wished you Michelle Yeoh, once in a thousand years; as ‘spent time’ is never gained again. In ‘endless time’ I ‘Will’ always sense your presence, no matter when, where or why, as the sky will still be high and there is no July. 'Time' as sensed from the left side of the mind would commence with a Hi, and the right side of the mind with an image of you flying high and mighty. A true wish is wished on the ‘Appropriate ‘Time’; as the negative generates a tactical error, which is not sense by the positive, and in-turn enlightens far and beyond ones personal mind, eliminating the negative from ones mind forever (heart in ancient times). a “Happy Birthday”, on a‘human devised time'. I am great fan of yours, I love your films very much, almost all every character suits you. You are so cute, beautiful, adorable like Cola Bear, you look so innocent, I don't much words say, but you are MAGNIFICENT in every section. Thanks for giving your fans opportunity to mail you. You Are Truley A BLESSING! GOD SMILED! AND THERE YOU ARE! GOD BLESS YOUR SWEET HEART! from watson akins, missouri U.S.A.
On behalf of the entire VinXperience family (www.vindiesel.hu) we want to wish you a happy, happy birthday! We wish you good health, unmeasurable personal success and great Box Office accomplishments in the years to come. May your special day be filled with good food, good friends and lots of happiness! Have a wonderful birthday Michelle. You will forever be remembered among the world's James Bond fans as one of the best actresses in a 007 flick. Your portrayal as Wai Lin was a brilliant performance and highly entertaining, very well done. Happy birthday to one of my favorite Asian stars. Have a good one and keep up the good work in charity. I hope you can get all the well-being of this world happy! Another birthday is coming, you are always strong and working hard in the past. You gave us so many delightful surprises on the screen. And I believe in the futrue, you'll give us more and more amazing performances. Well, at the last, happy birthday! Hi Michelle, first of all happy birthday!! I admire all the work you have done. I'm studying to be a tanslator of cinema scripts and I want you to know that your films are helping me to achieve it. From Spain thank you and happy birthday Michelle. (Desde España gracias y feliz cumpleaños Michelle). Ante todo quiero felicitarte. te deceo lo mejor del mundo y que puedas alcanzar toda y cada unas de tus metas. te admiro demaciado y de verdad no tengo mas palabras para expresarte todas las cosas positivas que deceo para ti y te invito a conocer venezuela es maravillosa al igual que su gente. Happy Birthday (Lá Bréithe Shona Dhuit in Irish)! Make more martial arts films! Do a Crouching Tiger Hidden Dragon sequel with Yu Shu Lien. Happy birthday, Michelle! You are a woman of talent, beauty and gravitas, and a complete inspiration to me. Wishing you the best on your future projects! Happy Birthday Michelle.May all your wishes come true.Miss ya! Another birthday is coming, you are still so young and beautiful, a ha, so you are! So, in the new year, I believe you'll bring us more wonderful performances, but at the same time, I hope you can take much more care of yourself. The health is the most important thing in the world. Just be happy and healthy, those are our most important wishes. Happy birthday and continued success in your acting career! Many famous people keep to themselves when not acting. 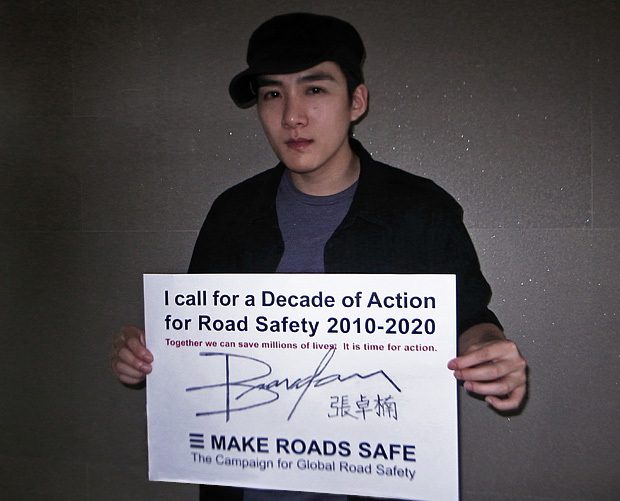 I admire you for your commitment to your campaign to keep roads safe. Your personal sacrifice for a worthy cause has my admiration and respect. My name is gracia and i come from indonesia, North sulawesi. I want to say happy birthday for you, hope you can reach the best in your life, work , and etc. I'm your huge fans, very like you so much...your role in some movies with other great actors.. I wish i could meet you sometimes, hehehe.. maybe. Do you have a FRIENDSTER??? If yes!!! can YOU ADD me!!! A big Happy Birthday to you! You keep getting better each year. Keep up the good work with your charities. Keep using your celebrity to get people involved as you have. Good luck with your new production company and have a wonderful year. Hello Michelle! Here we are again, another year has past! I hope you will have a lovely day! Thank you once again for inspiring us and for being who you are!! I wish you the best of luck for everything! May each hour be a happy one on this special day. You are my favourite actress. The best of everything to you, today and always. Wishing you a day that's filled with love and happiness. May your every birthday wish come true. Hoping to see you on the big screen soon. I wanted to wish you the best for your birthday and that I hope the next year is filled with more joy, happiness, love, fun, excitement, adventure, good health, and many wonderful blessings. I have always enjoyed watching your movies and I look for many more to come. May you receive all that you hope for in the coming year! hello this kizito, wishing you happy birthday and many more years.i am your fan. Is really very happy, may participate in your birthday blessing together, although we actually want this day to give you together again in different state our blessing . Welcome you to arrive at Taiwan . Wish your happy birthday once again. you and Jean Todt wants certainly happily . HAPPY BIRTHDAY SISTER..THANK YOU FOR YOUR FILM 007. Happy Birthday my favorite Asian actress. Take care and God Bless. best Birthday Greetings from Germany! You've been the best Bond-Girl! Wish U Happy Birth Day. Today I have Seen a Movie 'Babylon A.D.' I like Very mouch. Wish U Best Birthday Wishes By Heart. U r my Favourite Actress. Keep it up and release new movies. It's very happy to say happy birthday to you agian!I hope you are happy everyday,and you are wealthy all the time. Good luck with your work and company! You continue to be an inspiration to so many with your work in various charities and social movements. We hope you will take a look at the ASIAN Geographic magazine and be part of our I CARE Campaign that I started. May we strive to make Asia a better place together. 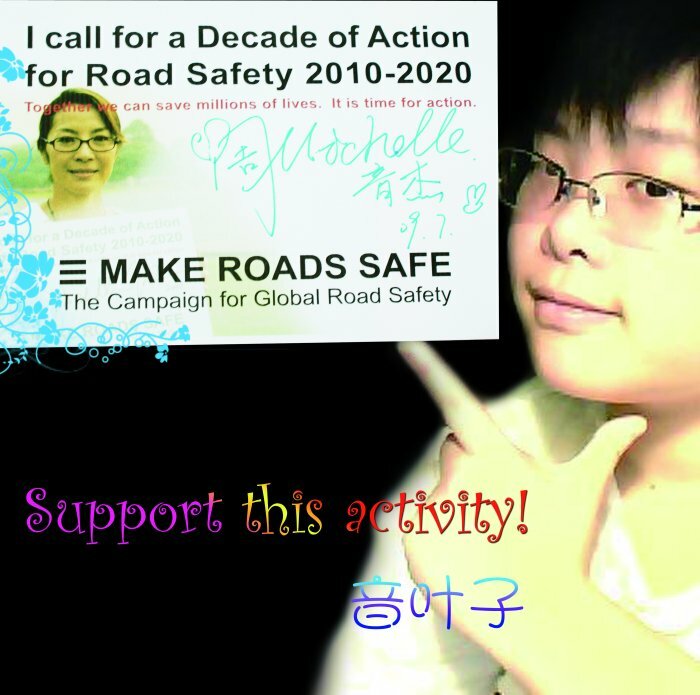 Happy Birthday, Michelle, and best of luck with your Make Roads Safe Campaign! very happy to celebrate Your birthday again! Something in myself was born just that same year and day, as I am proud to have a part in myself which has taken inspiration from You many times. To celebrate Your birthday is in a certain sense the same thing that to celebrate this part of mine own birthday! Hi, this is the first time that i bless you for your birthday because i've just being your fan for 3 months. Wish all of hapiness be with u. Wish u healty and all your wishes come true. i'll look forward to watching your new movie. i'll support u all time. My best wishes to you and family on this very day. Keep up the good work and promotion of Malaysia & Asia to the globle. Have another fruitful year ahead. Hi. How are you? 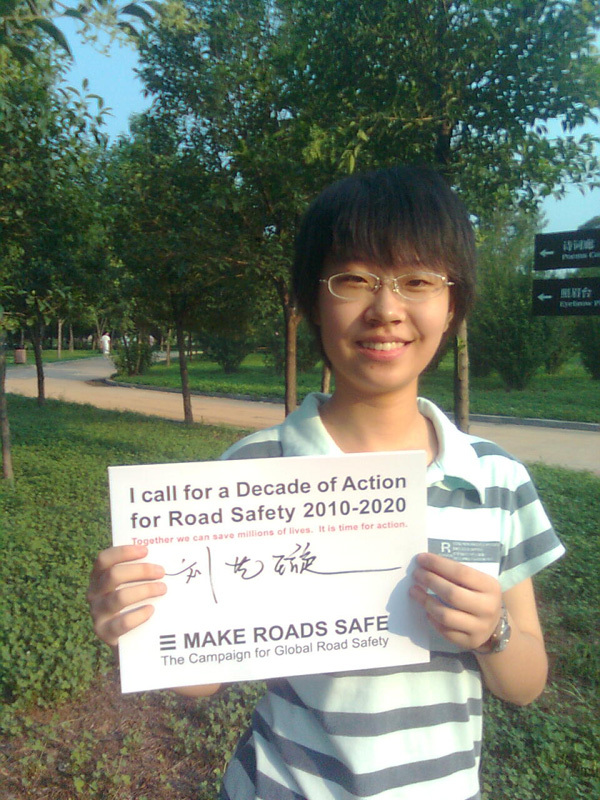 I'm so proud that you're making roads more safe. Everyone can make a difference and you're a great example. I'm your number one fan. I loved The Mummy Tomb Of The Dragon Emperor. I bought it on DVD and added to my collection of your movies I have. All your movies are great. I'm looking forward to seeing you in more fantastic movies. You're very beautiful. Is there a way fans can meet you? I would really love to meet you. Please let me know if there's a way. Have a happy birthday. May this new year ahead be full of happiness and success. I am deaf/hard of hearing. My name is John. I would like to say HAPPY BIRTHDAY!!! Wish to be there to celebrate with you. Hope you have a blast! HAPPY BIRTHDAY!! MAY YOU PROSPER AND ENJOY GOOD HEALTH. First, Happy Birthday to you, and wish that all of your dream will be come true. 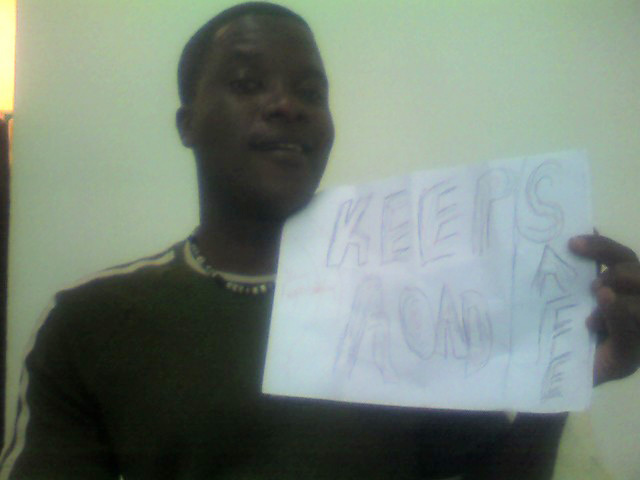 You know what, your leading of MAKE ROAD SAFTY really touch my heart. And I'm glad that there are some people who have powerful influence taking action to help people, just like you. 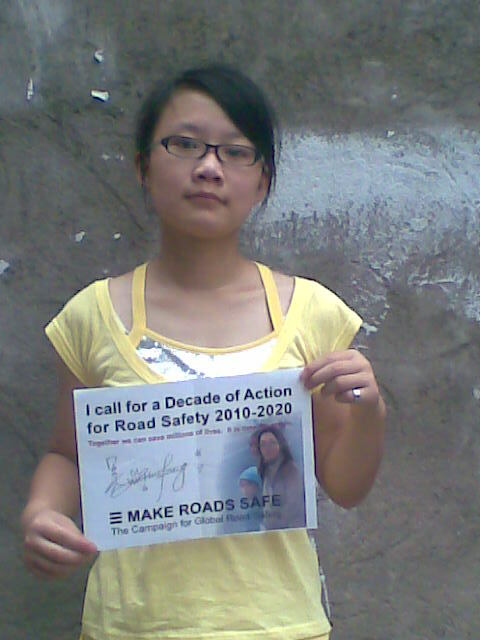 I support the make roads safe campaign. We can trust the people from the entire world will help to stop these terrific things occurring. Because of your insistence and the friendly person who cares this issue is touching us. Because every movie you acted was pretty great, you’re my favorite celebrity. 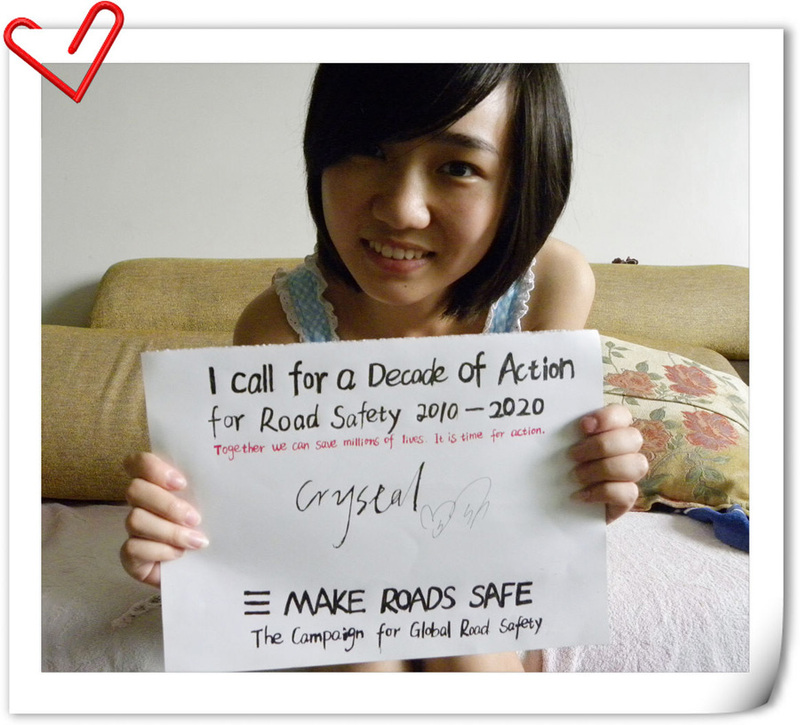 After I knew the MAKE ROADS SAFE CAMPAIGN, I further love you. Finally thanks to you and Jane for giving me this opportunity to know the world news and writing this message to you. You are a very special and beautiful lady. Have a wonderful birthday and best wishes to you. May your dreams continue to come true. Love you & thank you as always!!!! HBD Michelle!!!! wishing you the best! plz do take well care. most people don't relish another anniversary , but you only look better every year . also fabulous in your glasses - men will make passes . "Age cannot wither her, nor custom stale her infinite variety"
Michelle, may you have many more, and joy of your life. 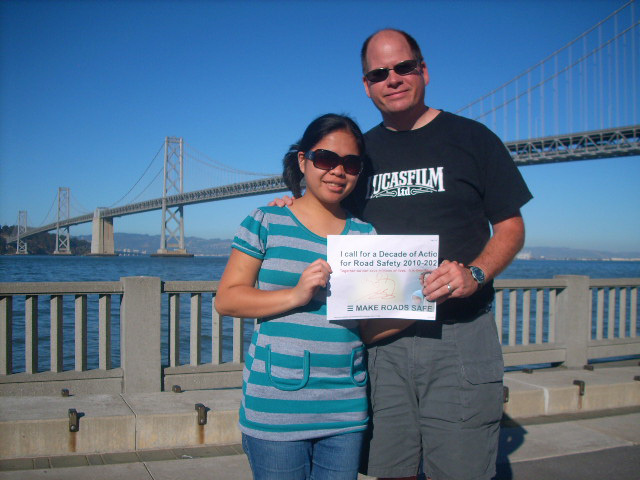 Best wishes on your birthday and this so-essential safety campaign from a native American (Bob) and a native Malaysian (Khafifah), both of us big fans. I will support you anywhere anytime, I wish all the best to you. Always warm hug and kisses to you ! Happy B-day Michelle. We all wish we can be there and celebrate with you. Happy Birthday, Michelle! Your films have been an inspiration to me. You are a shining role model for women everywhere, especially asian women. You have a had a wonderful impact on my life through your graceful, yet powerful artistry. I wish you all the best on your special day and hope there are many, many more to come. 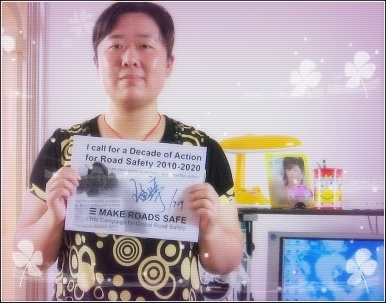 I support Make Roads Safe, keep up good work! It is blessing to love and being love. Wish you happy every day! ps. ha ha~ i am so lucky that i am Leo as same as you! I support the Make a Rode Safe!! I hope you're enjoying the very best birthday ever. You deserve nothing but the best. You are an incredible lady. You are so beautiful. Take care. Have a very HAPPY BIRTHDAY!!!!! Love you Michelle. Thank you for all that you are to me. Have a very Happy Birthday! I wish you the best of days and good health for a long time. Thanks a lot for all you work and the inspiration that you are. Let the rays of the warmth you send to people come back to you too! And let you be just happy. Let the life give you some special gift of being ever-creative, full of love and light, always remaining yourself. For this year and the other years. Again wishing inspiration, energy, light and happyness! From admiring you bear and cat. Happy Birthday, I loved you in Memoirs of a Geisha. Happy birthday to you and have a wonderfull year ahead. I wish Michelle Yeoh must get great success, great health and wealth. and wish u happy birthday to you. Wishing you a wonderful day. I want to wish a very Happy Birthday and wish you much success in your future film projects. To a very talented actress whose movies have had a profound effect on the public and myself. Congrats on the Babylon A.D and latest Mummy movie. You're the greatest!!! I fell in love with you after I saw Crouching Tiger Hidden Dragon. I think women like you are an awesome example for other women. Thank you for your great movies! Happy Birthday Michelle,for wishing you all of the very best on your Birthday. from Steven Millan, Las Vegas,NV U.S.A.
L’histoire est tout à fait aussi vivante qu’en cette année : le 6 août a marqué votre 47ème anniversaire, bien sûr, vos 47 ans (soit 1962 – 2009). Que cette année nouvelle de votre vie soit pour vous pleine de santé, de gaieté, de prospérité et qu’elle apporte toutes les joies, toutes les satisfactions que vous désirez. C’est en nom, et au nom de ma famille, que je souhaite vous de tout cœur de fêter encore de nombreux anniversaires auxquels j’ajoute mes vœux de réussite et d’excellence pour votre carrière sportive. Bon et heureux anniversaire ! (En annexe, j’envoie une publication pour vous que j’ai rédigé en français. Tout en invitant de la traduire en anglais, chinois, malais et d’autres langues. Aussi, priez de la publier…). Merci encore de votre soutien qui m’est précieux. Je mesure l’honneur de vous solliciter comme marraine de ma première jolie, Précieuse NGITUKA (Née le 15 juin 2009, à 3h14, avec 3kg). Au plaisir de lire ! Happy birthday Michelle I wish you the best. I'm a tippical aussy I love my rugby league and union but I when I see you in a film I feel calm and warm inside. Iguess I hope you live for ever. Best wishes to you on another great year! You help bring out the best in all of us in all the wonderful things you do through out the world. Love & Peace always! I'm so blessed 2 have a friend like u this comes with many loving thoughts & warm wishes i send 2o may ur day be filled with laughter on this ur special day & may the finest things in life always come ur way happy birthday! With lots of love, this message comes 2 say u're wished the joys u so deserve especially 2day..... & may the days that lie ahead be extra-nice 1, 2o, filled with all the happiness thought 2 come 2 u. !! happy birthday !! Da stars wishes u,da brightness of moon wishes u,da sunshine wishes u,da waves wishes u,da flowers wishes u,da morning wishes u,wish wishes u last but not da least a heartless wishes u ""happy birth day""
Today is a day of celebration. why? because, years ago on the same day, god sent me my flesh and bone conscience. wishing my friendly inner voice a very happy birthday. Happy belated birthday. Aug 6 is very special as it is my Mom's birthday too! I grew up watching your movies, the very first was Heroic Trio. That was when my brothers and I became fans of you, Anita Mui and Maggie Cheong! Stay healthy and do visit Malaysia more often. I like to wish you a HAPPY BIRTHDAY !! I enjoyed your part in the movie Memoirs of a Geisha ... so elegant. As of fact, all the actors were great in that movie. 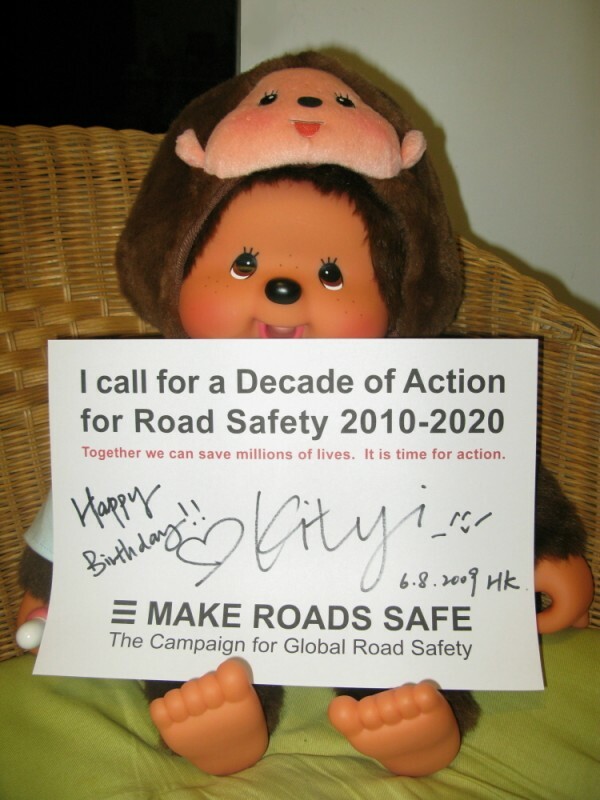 To Michelle, Have a happy birthday, and thank you to your husband Jean Todt and Micheal Schumacher, for making me happy to improve road safety, may god bless you 3 for the marvellous work you have done. I send you this message in case you didn't recieve my last one, take care and all the best. I wish you a beautiful Birthday.I wish that you will success on your carrier and you will have more happiness.It's the 2nd time that I send you the greeting on your Birthday. I know that you have visited VietNam 2 times,but i regret that I cannot meet you there. I would like to wish you Happy Birthday! You are a wonderful person! I wish you a lots of love and gifts on this special day! Please feel free to contact me if you are coming to Vancouver, It will be my pleasure to show you around. I apologize for the lateness of this message. Happy Birthday Michelle and I wish you the best to you for a pleasant and joyful year to come. 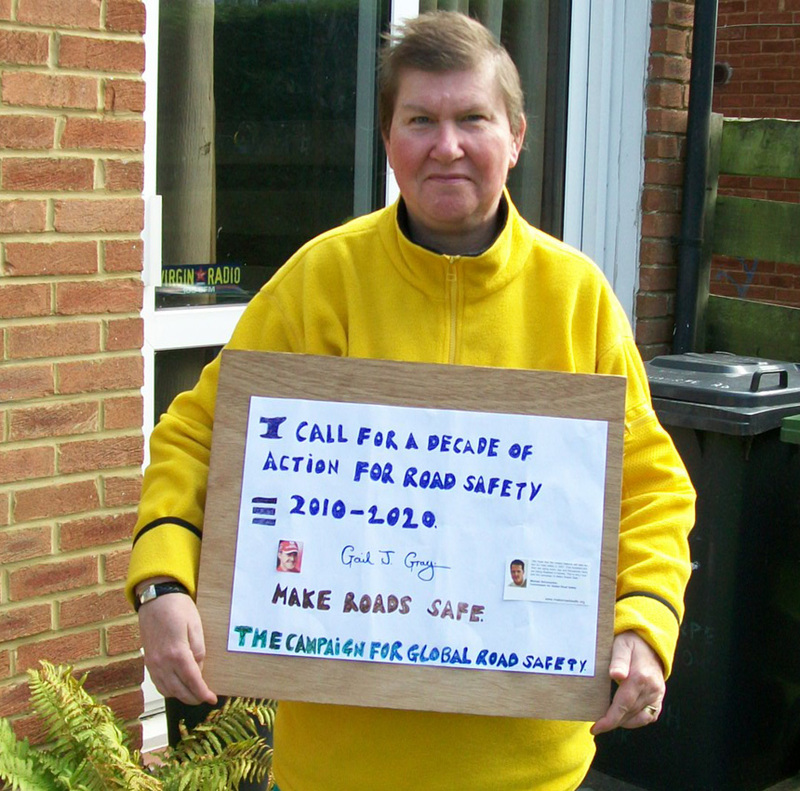 Good luck on your Make Roads Safe campaign. As a soldier I know that there many places throughout the globe that travel on roadways can be a dangerous undertaking. I hope your voice will yell a message that will be heard the world over one person at a time. Happy birthday to you. Wish you happy everyday and freasch like flower. I love you. hi michelle, hope you receive my message, happy birthday to you hope your still fine.. i am always updating your movie when i was in phil.my husband and i like to look at your movie. Hello. I am Mongolian student and yours a fan. Happy birthday to you and best wishes to you. Sorry for late...I was too busy a few days ago and couldn't check the Net. I wish you strengthness, happiness, brightness and always full of love!! 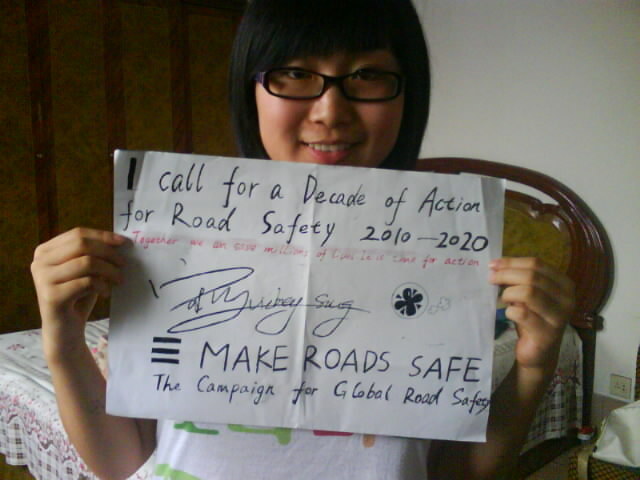 And by the way I'm going to join Make Roads Safe! From all your fans from around the world, we hope that your birthday was awesome and that you had a great time. We love celebrating with you your special day and can hardly wait to do it again next year. This day is always dear to us since we get a rare chance to give you our love and send you a mesage letting you know we're continuously delighted by your acting and all that you do. As well it is our pleasure to support Make Roads Safe. It is an excellent cause and we hope change comes quickly. Take good care, stay safe, and see ya again next year! Happy Birthday! We love all your movies! Please keep making many many more!! There are so many things to say, but there are no words (at least in the English language) to express my gratitude for the inspiration, awe and entertainment you've brought into my life. I grew up watching your films, ever since I was a small child, watching Yes, Madam for the first time as a young child, maybe even a toddler. Ever since then, Ive followed your every move and kept in touch with everything youve been doing in your career, your industry and for the world. Thank you so much for doing so many fantastically awesome movies, for endlessly entertaining us and for being an truly incredible and talented actress as well. I think I speak for everyone else when I say you are loved very much by all your fans, and you never cease to amaze and inspire us! You have been a hero for me ever since I was a kid and you still are to this day! Thanks for everything and have a very, very happy birthday!! hello.i am usman khan from Pakistan. i cant say any thing i just say that i love you and happy birth day to you. muita saude,paz,susseso,felicidades,muito amor,e muitos filmes legais.de coraçao;Mada. Happy birthday, Michelle! I love you and your films, please keep making movies.